We designed the FSeries for ambitious and advanced riders. This performance open C four-line kite excels in freestyle and big air while providing the upwind and windrange qualities of a freeride kite. The advanced short bridle system enhances the stability and control. The tow-point is close to the wingtips, tuned to provide a tip turning character with a fast steering and an explosive deploy of power when looping. The moderate sweep of the wing tips adds to the performance: The kite generates a rapid vertical lift for big airs. Freestyle riders will appreciate the line slack and travel of the kite. Even the most advanced handlepass tricks suddenly become achievable. We gave special attention to the low end and upwind capabilities of the FS to ensure that you can concentrate on jumps and tricks rather than on tacking upwind. The well-balanced aspect ratio has the ideal lift/drag ratio to take you swiftly upwind even in light winds while coming with a crisp, agile steering speed. The FS design parameters are the fundamental DNA, to provide the essence of performance in his category. Make sure to look up our E/8 Trusted Quality section for more information on the many features and quality aspects of the FS. To equip the FS with powerful and fast turning characteristics, we shifted its turning axes towards the wingtip. This greatly enhances its energy and agility. 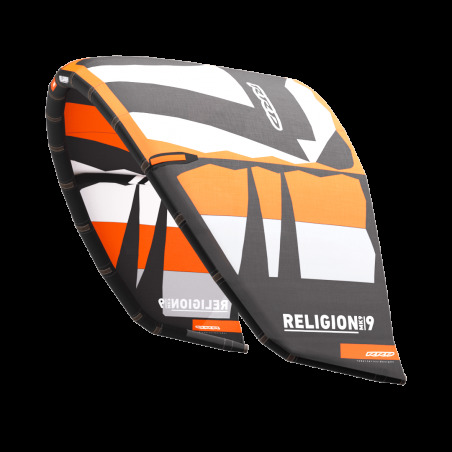 The FS’ high AR with a efficient lift/drag ratio provides this high performance kite with great upwind and jumping characteristics. With its moderate sweep, the FS deploys its power explosively when jumping/looping. Furthermore it also provides plenty of slack for freestyle tricks.